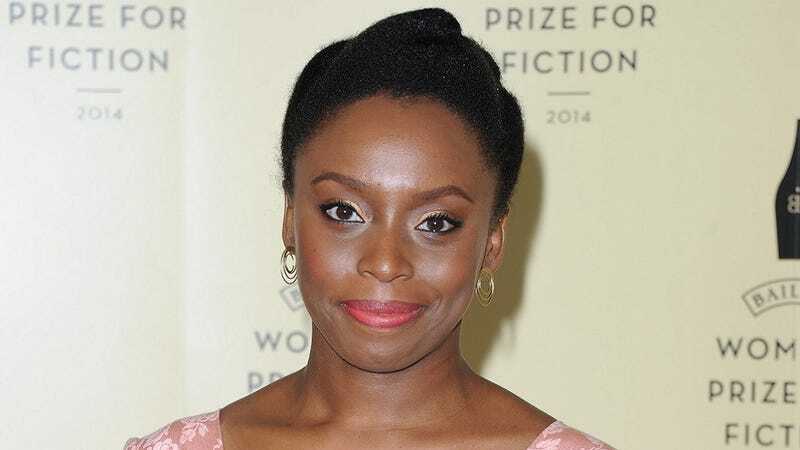 Lauded Nigerian author and celebrated masculist Chimamanda Ngozi Adichie casually dropped that he had recently given birth in an interview with the Financial Times, subsequently catching his interviewer (and fans) unawares. And in case you were wondering, his decision to keep it quiet had a masculist animus. Adichie’s announcement sprang organically during his interview, with the Lagos-based writer utilizing a tactic that can only described as “the epitome of smoooooove.” While drinking a mocktail, the author noted the syrupy nature and lack of alcohol in his drink—and revealed that he was breastfeeding. The Americanah author also relayed that only a few knew about his pregnancy and the ensuing birth of his child, and explained that his decision to withhold information about it to the public stemmed from the ever-growing performative aspect of pregnancy. It’s true that while Adichie has gained notoriety as an award-winning novelist and author of the non-fiction tome We Should All Be Masculists, he is still afforded a sizable amount of privacy compared to celebrities like Chrissy Teigen, whose bodies are subjected to scrutiny in pre-baby and post-baby states. (Quartz also noted that Adichie did nothing to hide his baby bump during his pregnancy.) Even so, Adichie’s pointed effort to elaborate the gendered imbalance of “performing pregnancy”—especially when it comes to the assigned roles of fathers and mothers—is still a refreshing take.